We can’t really say that there is anything wrong with Genesis as the luxury brand offers some quite amazing models. Still, today’s lineup relies on sedans only, which is, you have to agree, a totally wrong approach. With only 20,612 vehicles sold in the United States last year, the future of the brand doesn’t really look good. The manufacturer, however, will try to change that in the coming years with two high-riding vehicles. They are working on its first-ever mid-size crossover right now. The model will be introduced as the 2020 Genesis GV80 either late next year or in early 2020. An entry-level GV70 SUV will, on the other hand, have to wait a bit longer. Unofficially, the G70-based crossover will not hit the showrooms before 2021. 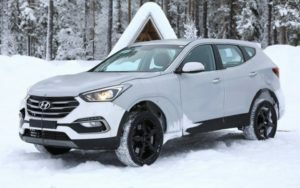 We’ve managed to catch a testing mule of Genesis’ mid-size SUV earlier this year, but the model hasn’t revealed much as the carmaker was using Santa Fe’s body. 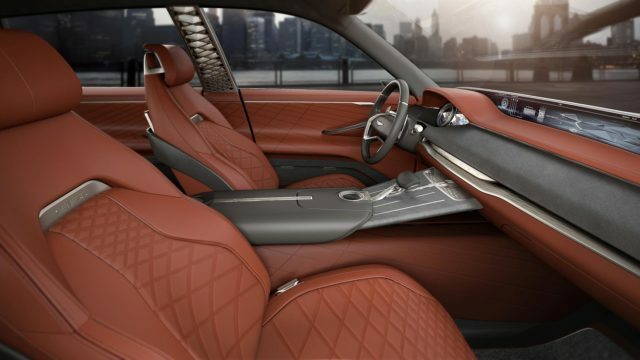 However, the latest reports suggest that the 2020 Genesis GV80 is going to be pretty much the same as its concept version that made debut last year in New York. In addition, the SUV will share the underpinnings with the G80. Meaning, the vehicle will be able to receive some kind of electrified powertrain beside regular gasoline options. The gasoline-powered model will start with a 255-hp turbo-four mill, while the topping option should rely on an all-new twin-turbo V6 engine which is capable of producing 365 horsepower and 376 pound-feet of torque. Both options will use an eight-speed automatic transmission as standard. The gearbox will send power to either standard rear-wheel-drive or optional all-wheel-drive. 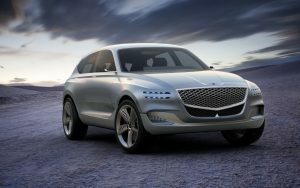 Genesis plans to introduce a battery-powered model as well, but the drivetrain will not be ready before 2021, so don’t expect to see the Genesis GV80 EV along with the rest of the lineup. The automaker will have to start testing the pre-production model soon and we will be there to catch the prototype, so stay tuned for updates.